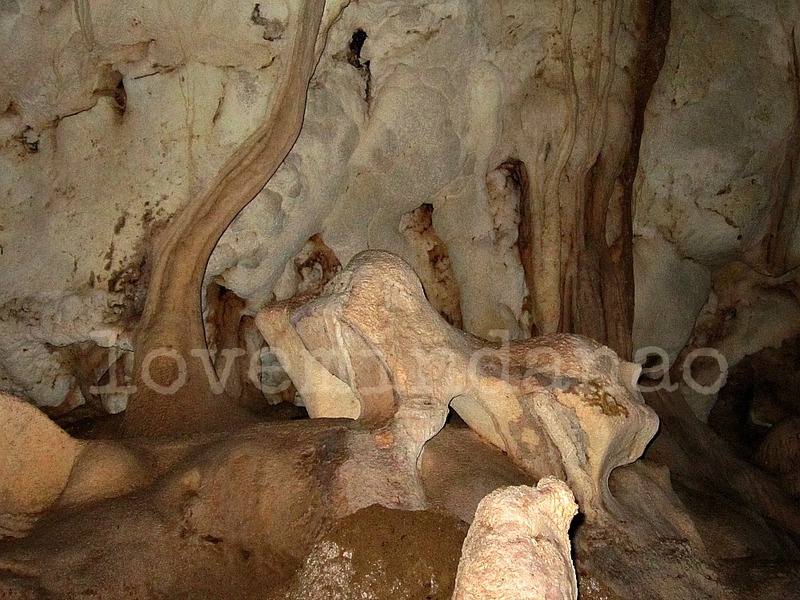 Find us on Google+ Love Mindanao: Magdawat Cave Exposed! 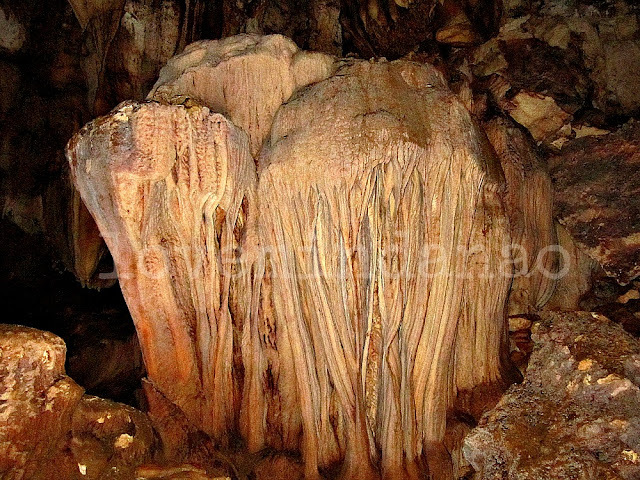 The Municipality of San Miguel in Surigao del Sur is a haven of nature’s hidden wealth. It is just sad to know that the tourism drive in the area has not been given much attention by the people and the Local Government Unit itself. The sleepy town maybe secluded from the rest of Surigao del Sur,but it is the place's isolation that made it unexploited from opportunists and capitalists in denting its unparalleled splendor. With my few years of residence in San Miguel, I tried to explore all possible sites of nature's wonder, and I must confess that as of this date my wandering adventures in the area has only reached the tip of the iceberg. In one of my recent explorations in the area, I discovered that one of the barangays of San Miguel holds a gem that the province can only dream of. 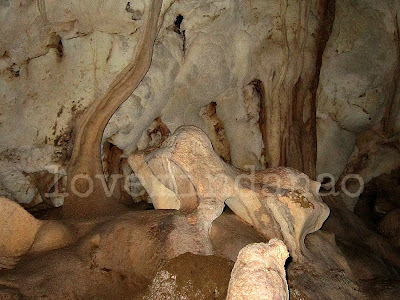 This wonder is known as Magdawat Cave located along the river side in the boundary of Brgys.Tina and Siagao. 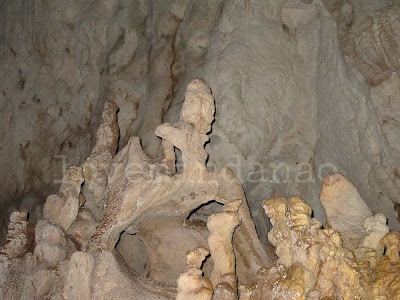 I have heard a lot about this mysterious cave from the stories of the locals telling how magnificent it was and how they were able to benefit from the nests of the swift lets or balinsasayaw decades ago. The nests of the “sayaw” are being sold to classy restaurant as main ingredient for exquisite and expensive Nido Soup. There were also a myth that the Japanese soldiers during World War II hid some treasures in one of the chambers of the cave . But the said treasure was never found instead human bones and some ancient artifacts were discovered buried inside the humongous cave. The folk's stories gave me a push to pursue my planned adventure towards this talked about cave in Barangay Tina aside from the fact that I was very excited as I would be the first to feature this amazing find on the world wide web. After our tiring but worthy visit in Kandingon Cave, we paddled our small baroto (boat) for approximately 300 meters downstream of Suba River. 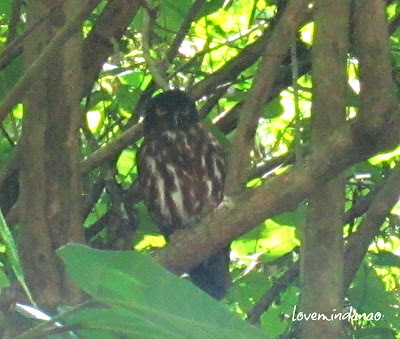 On our way to the target site , we were amazed to have spotted a Brown Hawk Owl (Ninox scutulata) roosting in one of the branches of a tree. This species is a noctunal bird that feed on smaller birds, lizards and insects . The glaring wide open eyes of the owl kept on following us as if it was the first time it had seen a human being in the area. What a lucky day for me to encounter such beauty. 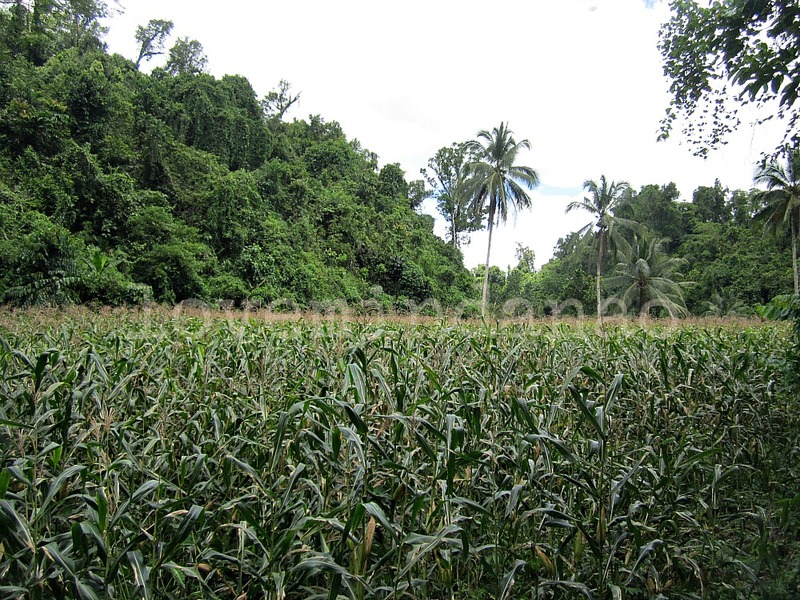 We parked on the left side of the river facing downstream and traversed a corn plantation to reach the limestone cliffs of the mountainside. Along the edge of the corn plantation, we climbed a 15-20 meter bushy steep trail towards the mouth of the cave. 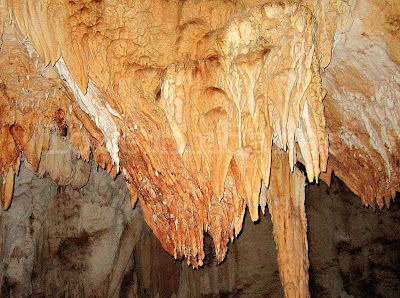 The one meter diameter mouth of the cave was small and conspicuous that nobody would wonder that there is a beauty lurking inside. Entering the cave we walked through a very narrow passage leading to a bigger chamber. Cave dwellers like huge black spiders and cave cockroaches cling on the walls and greeted us unexpectedly that made me almost grab the creepy yet innocent creatures with my hand. It was totally pitch dark inside the cave as no holes can be seen for light to penetrate the hidden chamber. 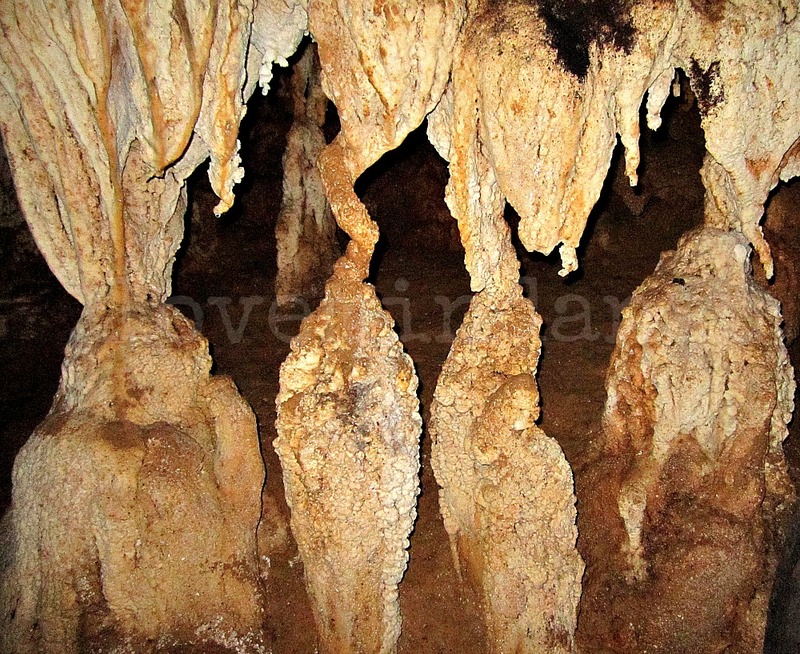 After a few meters, a huge hall with dozens of intricate rock formations surprised me. 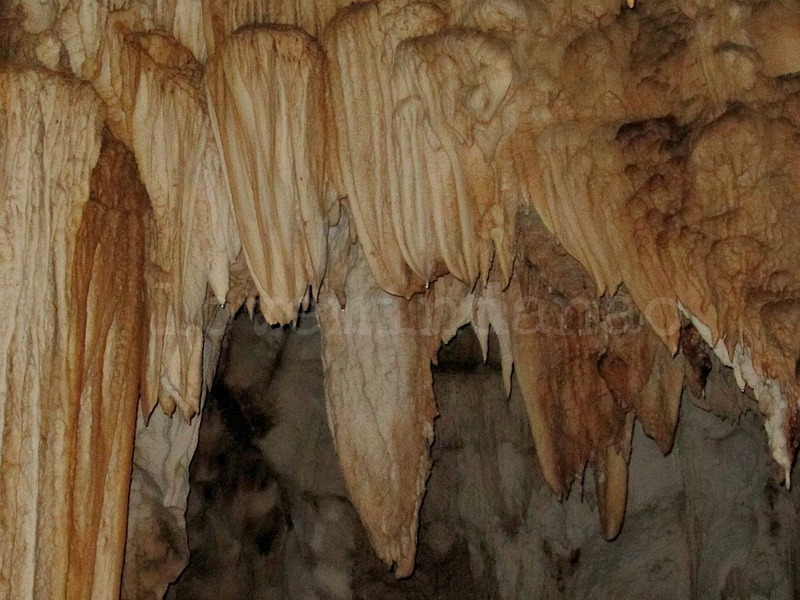 There was the towering ceiling that holds dozens of stalactites that resemble the octopus' giant tentacles. Some were like vegetables and some even resemble a dancing human figure. There was one particular rock formation that put me in awe. It was a huge stalagmite that resemble like a giant jellyfish. It was so surreal as if I was in a wonderland witnessing special creations displayed in an art museum. Looking at the rock formations piece by piece, I strangely felt that the rocks reveal a life of its own . 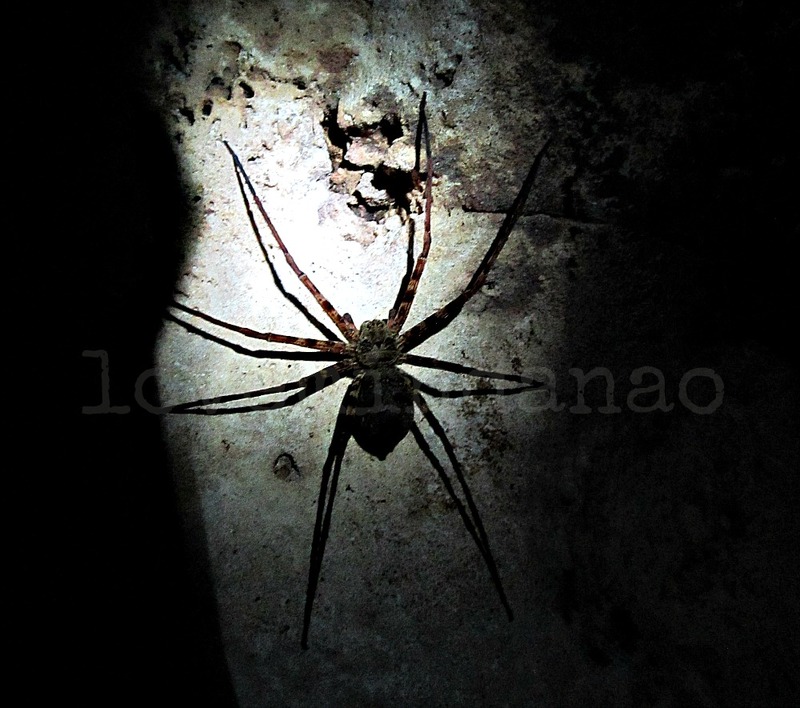 It looks so alive especially when hit with high intense light coming from our flashlights. With only two of us wandering inside the cave , we suddenly felt a strange soft and cool wind that blew towards us and as if somebody or something gently embraced us in the middle of the path. Whooooo spooky!!! 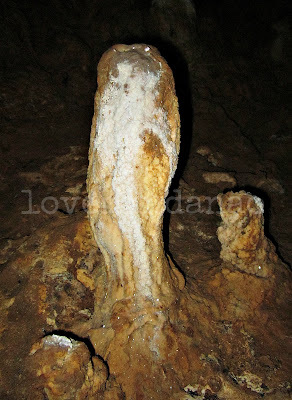 I thought it could be the spirits of the dead buried inside or somewhat the guardian/diwata of the cave as what the locals are telling about. That strange feeling did not scare me, instead it gave me more confidence and tested my bravery to put one more step forward to reveal the sleeping jewel of San Miguel. Looking at the cave's ceiling, my curiosity wondered whether “sayaw's” nests in this chamber still exist. Seeing an individual bird flying erratically gave me an sense of hope that pulled me deeper and deeper to the cave. It was a blessed day that fate did not falter when I spotted a nesting “sayaw” in one of the crevices on the wall . It maybe dark but the chirping sound of the "sayaw" lead the way to its nest.The moment the bird detected our presence (they are blind), it flew over our head displaying a fighting maneuver against its intruders or possible predator or collector of its hard earned nest.The nest was placed so high and far from our reach so we decided not to bother the nesting bird for the sake of photo documentation. After I had witnessed and obtained my primary goal inside the cave, we decided to leave and return to the the river before the heavy rain. This adventure was one of the most exhilarating experiences I had in years. I have seen many caves in the Philippines but I found this one more interesting, authentic, grand and most of all MYSTERIOUS and SPOOKY. 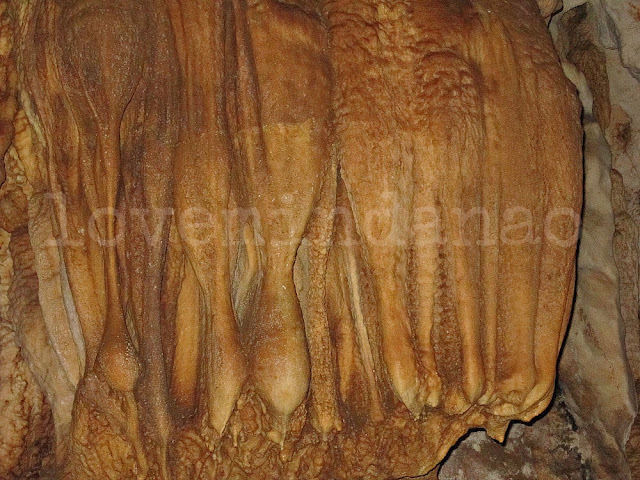 Magdawat Cave is nature’s creation that is beyond my expectations. I just hope that the Tourism Office of the Province of Surigao del Sur shall provide the necessary assistance both technical and financial to promote this hidden treasure waiting to be shared to the world. There's so much to discover in Surigao, blessed with natural resources. Great Scenery!